If you are tired of the same old squats, leg presses, leg extensions and hamstring curls, then keep reading, because we’re about to give you an AWESOME and diverse leg workout. 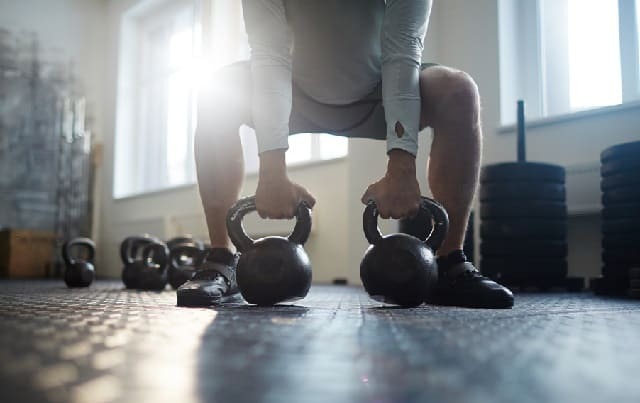 For this article, we will provide you with a workout that includes – A barbell movement, a kettlebell movement and a dynamic bodyweight movement. All you need is a squat rack with a barbell, a kettlebell and your own bodyweight. Free Guide: View complete kettleleg deadlift exercise guide here! Before we move on to the workout itself, let us tell you a bit more about it. First off, we will say that the best workout is the diverse workout. What we mean by that is that if you focus on one single type of equipment, say, the barbells or the machines, you will pretty much get sub-optimal results. On the other hand, if you bring in diversity and include some barbells, some machines, some kettlebells and some dynamic movements, you will activate more muscle fibers and hence, achieve better overall development. That is exactly why we’ve included a barbell movement, a kettlebell movement and a bodyweight movement. The barbell movement of course, can be replaced with a kettlebell instead of a barbell. First off, we start with barbell or kettlebell squats that will properly warm up our lower body. The quads, hamstrings and glutes. We can go heavy on this exercise but not excessively. We use moderate to high intensity here, avoiding extreme failure. We recommend you to use no more than 60-70% of your maximum strength capabilities. Free Guide: View out best squat exercises procedures here! The second exercise as we said, is a kettlebell movement, which engages the quadriceps, the glutes, the lower back spinal erectors, as well as the shoulders and trapezius up top. This is a more dynamic movement that will help us improve overall balance and synchronicity between the separate muscle groups. Well, running may sound like cardio, that has nothing to do with muscle building, but if you want a positive adaptation on a muscular level, then high intensity is your best friend. And that is exactly what sprints are – High intensity running! The good thing about sprints is that they will engage your whole musculature and will actually help develop the lacking lower body muscles. That is to say that if you have weak calves, they will have no option but to adapt and grow as a result of the exercise’s demands. This is a circuit workout, meaning that you will be doing the exercises consecutively with little to no rest. One set of squats, followed by one set of swings, followed by one set of sprints, followed by 30-50 seconds of rest. The total number of circuits is 10. The repetitions are 10-12 for the first two exercises and ~10 seconds for the sprints. Free Guide: How long can I build real noticeable muscle mass! It is a MANDATORY requirement here to start off light and not go into the redline until at least the 3rd round of the circuit. Start off with bodyweight squats for 15 repetitions, a lightweight kettlebell for 12 and a gradually accelerating sprint to 60-70% of your top speed. Then, move on to empty bar squats for 12 repetitions, a slightly heavier kettlebell and a quicker, faster sprint, that is still not at 100%. 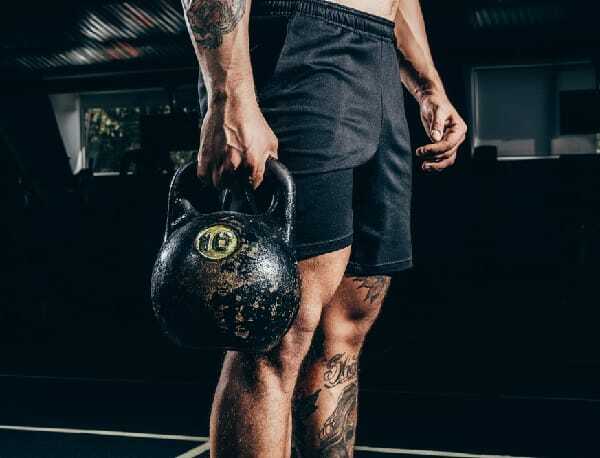 For the third set, use a good, challenging weight for 10-12 repetitions, followed by a heavier kettlebell and a full-on sprint, where you achieve your top speed at the end of the length. From the 4th set on, if you feel warmed up enough, you have a clearance to go harder. Rest up to 50-60 seconds between each round and remain with a warm musculature until the end of the 10th round. If 10 rounds are too many for you, start with a lesser number and move up from there. 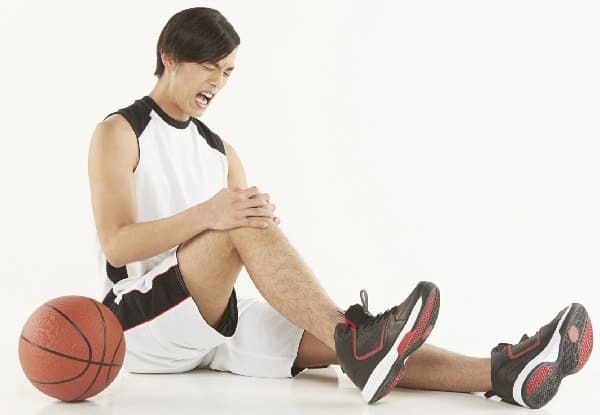 Avoid this workout if you have chronic lower or upper body injuries. Better overall development is achieved via an application of diverse training principles and methods. To get out of the usual leg workout that consists of squats, leg presses, extensions and curls, you can use the given circuit workout. This workout will ultimately allow you to develop more explosiveness, stability and even speed and quickness. The workout can be done weekly or bi-weekly, in-between your usual, classical lower body workouts. VIEW THIS: Testosterone Boosters are known to help general bodybuilding results. Check why this brands is successful! VIEW THIS: Two years ago, I embarked on a journey to transformed by body and muscle building results. This natural anabolics helped me achieved my DREAMS!